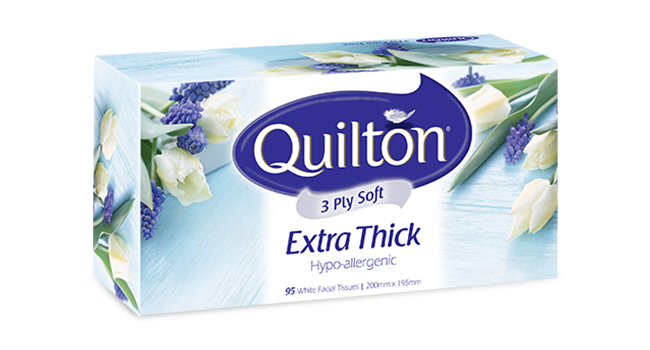 Quilton invites you to love your nose with our pillowy soft range of 3 Ply Facial Tissues. Indeed Quilton Facial Tissues aren’t just for noses, they’re also perfect for make-up removal, mopping up small spills and wiping away tears. Created with a unique combination of strength and softness, it’s no wonder more people are reaching for this little bit of everyday luxury.